If you've noticed cracks or uneven concrete surfaces around your home and live in South Texas, Baird Foundation Repair is your local, trusted concrete contractor with innovative solutions. An Experienced, Dependable Contractor: Baird Foundation Repair has been providing quality foundation repair services since the early 1960s, making it the oldest foundation repair contractor in the greater San Antonio area. A leader in the industry in innovation and proficiency, they offer over twenty uniquely patented products and their team goes through extensive training programs to ensure expert repair work. Contrete Repair Services: Baird offers the revolutionary technology of the PolyLevel concrete repair system. PolyLevel lifts and levels concrete slabs of sidewalks, stairs, driveways, patios, and more. 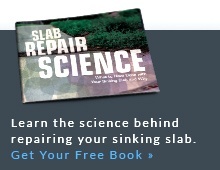 It consists of a lightweight, waterproof, and stable material that lasts longer than typical slab jacking techniques without putting undue stress on your already weakened soil base. 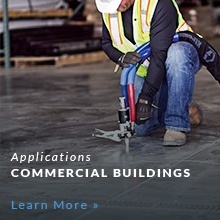 When you need a trained and concrete technician, you want Baird Foundation Repair. Serving South Texas: If you're looking for concrete lifting and leveling services in San Antonio, Victoria, New Braunfels, Seguin, Hondo, San Marcos and other nearby towns and cities in South Texas, contact Baird Foundation Repair. Check out their Service Territory Map for a complete list of cities served. "Was very impressed with the proffesionalism of your company. The guys working here have been great..."
"I am not one to normally leave reviews unless something was absolutely horrible or absolutely..."
"Daryl was a delight to work with." Love the job that was done!